Dr. María J. de la Fuente is a Professor of Spanish and Applied Linguistics. Her general area of research is Instructed (classroom) Second Language Acquisition (ISLA), in particular the role of pedagogical tasks in second language learning, and the role of the first language in the development of a second. 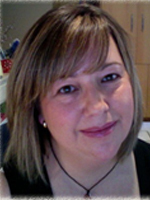 She is also involved in the field of Scholarship of Teaching and Learning (SoTL), in particular exploring the role of collaborative tasks in the language classroom, and the impact of case studies in advanced language learning. Some of her research has also focused on how emerging technologies can facilitate certain language learning processes. The results of her research in these areas have appeared in refereed journals such as Studies in Second Language Acquisition, Computer Assisted Language Learning (CALL), or Language Teaching Research. She is the author of two Spanish textbooks: Gente (Pearson) a widely-used textbook in college Spanish language programs, and Puntos de encuentro: a cross-cultural approach to Advanced Spanish (Cognella Publishers). She was the recipient of a 2008 Bender Teaching Award and she is a founding member of the GW Academy of Distinguished Teachers. 2018. Stepping out of the language box: connecting college Spanish to sustainability. In C. Melin (Ed.). Foreign Language Teaching and the Environment: Theory, Curricula, and Institutional Structures. MLA Series Teachi­­ng Languages, Literatures, and Cultures. 2017. Puntos de encuentro: a cross-cultural approach to advanced Spanish. 2nd Edition. Cognella Academic Publishing. 2015. Explicit corrective feedback and computer-based, form-focused instruction: The role of the first language in promoting awareness of second language forms. In Baralt, M., Cerezo, L. & Leow, R. (Eds.) Technology and Second/Foreign Language Learning: A Psycholinguistic and Psychocognitive Approach (Chapter 7). De Gruyter Mouton. 2013. Puntos de encuentro: a cross-cultural approach to advanced Spanish. Cognella Academic Publishing. 2012. "Learners’ attention to input during focus on form listening tasks: an empirical study on the role of mobile technology in the second language classroom". Computer Assisted Language Learning, Vol. 26. 2012. Gente, 3rd edition. Pearson Higher Education. 2009. “The role of pedagogical tasks and focus on form on acquisition of discourse markers by advanced language learners”. In Campos, H. Lardiere, D., and Leow, R. (Eds.) Little Words: Their History, Phonology, Syntax, Semantics, Pragmatics, and Acquisition. Georgetown University Press.